Fashionable, charming and attractive, this wonderful jewelry organizer is going to beautifully present all of your jewelry collection and also organize it in a smart and efficient manner! The product is made out of sturdy PU leather and it is an elegant black color. However, it is available in plenty of other colors as well so you will be able to choose the one that suits you most: you can get the rich red version, the bright rose version or the dainty white colored version. 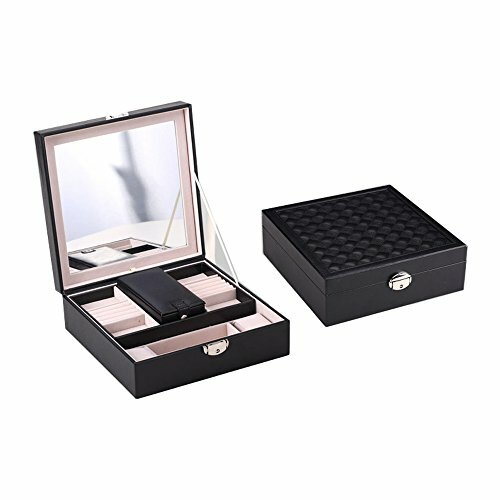 The box is square shaped and also quite large; it has got two removable trays and multiple compartments of all sizes. The lid is also framed with a big and fancy mirror glass that will be very helpful when you’re getting yourself ready to go. The interior is lined with a fine and smooth flannel material and it is also a gorgeous pale pink color. 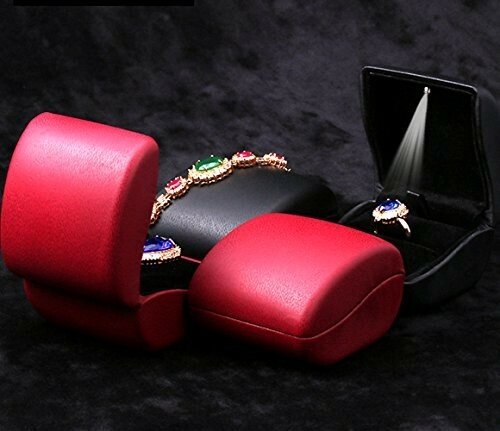 What is more, it is also coming with a small travel jewelry box as a plus! This beautiful jewelry organizer is ideal for storing and displaying your entire collection! It will accommodate all sorts of pieces of jewelry, such as rings, pairs of earrings, necklaces, bracelets, brooches and so on and so forth. 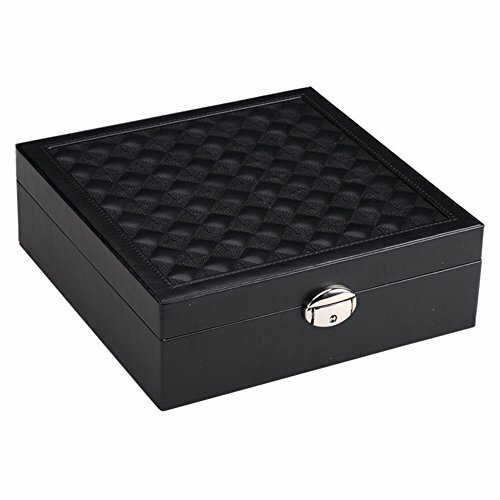 It is highly elegant, stylish and fancy and it will neatly keep all of your precious items of jewelry well organized and in a very efficient manner well! The measurements of this item are the following: 10 x 10 x 3.5 inches and its weight is 3.5 pounds.